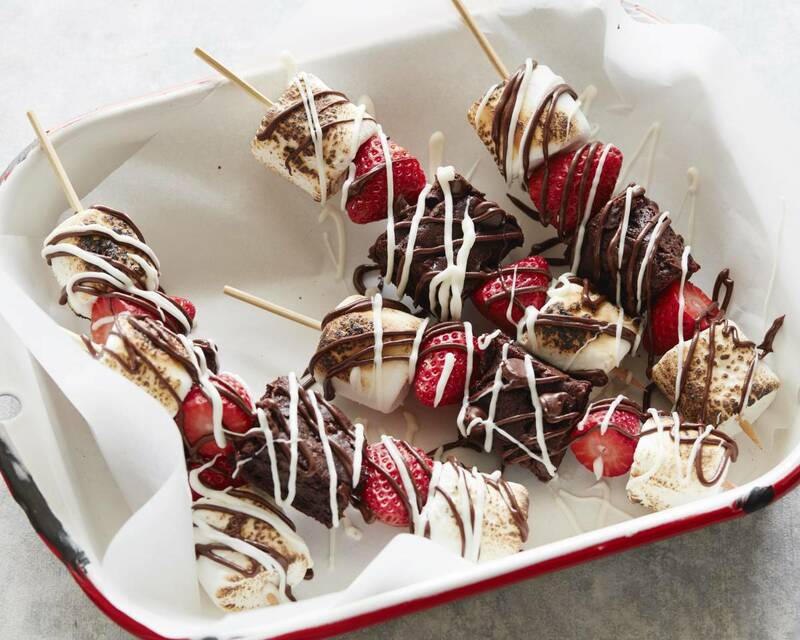 When I saw the these strawberry brownie skewers by Gaby, I was delighted - they actually made me happy to look at (let alone bite into). There&apos;s nothing better than a finished product that looks more artful and gourmet than the simplicity it took to make - minimal work on your end, with a rewarding wow factor for whoever you serve them to. That&apos;s a win win in my book. Don&apos;t they look stunning? Keep reading for the recipe! 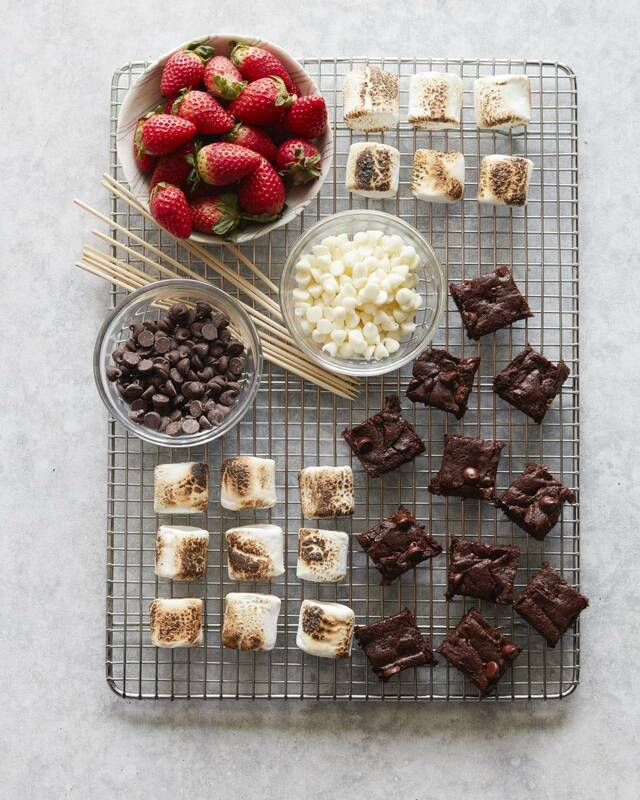 What happens when s’mores meet fresh strawberries and brownies? MAGIC! 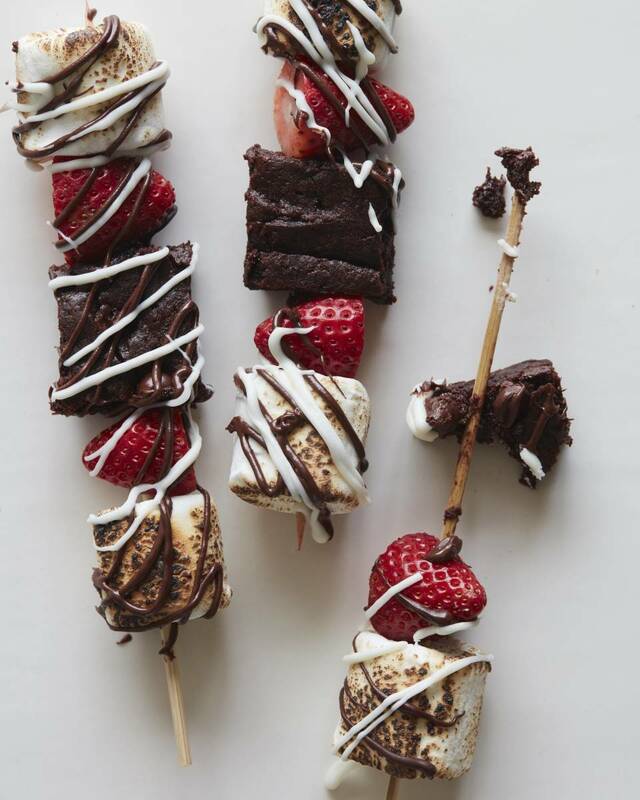 These Strawberry Brownie Skewers are quite possibly my new favorite dessert and they are perfect for Valentine’s Day. 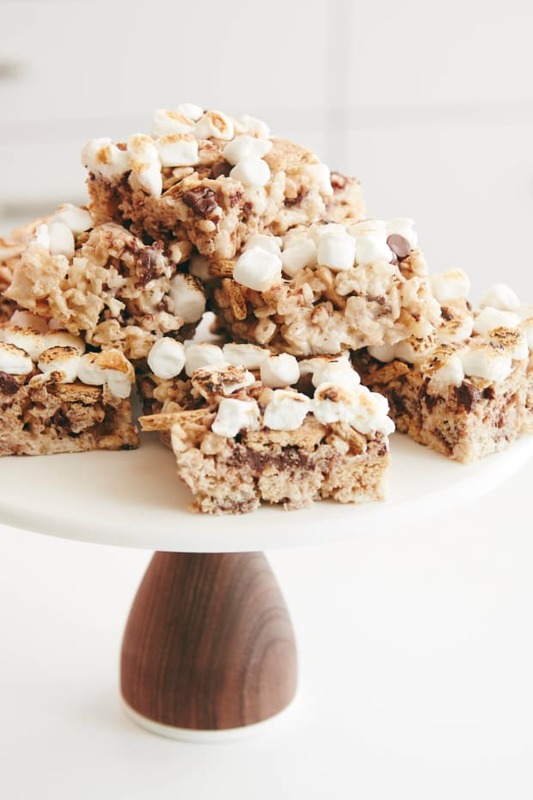 Whip them up for your favorite person, or a group of your gal pals and enjoy. 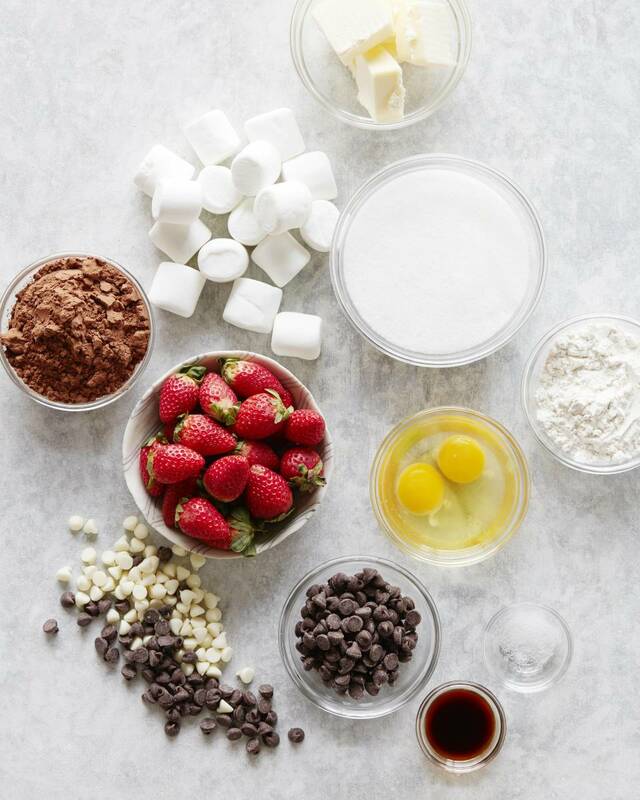 But fair warning - the brownies are delicious and mix them with fresh strawberries and it’s basically game over. 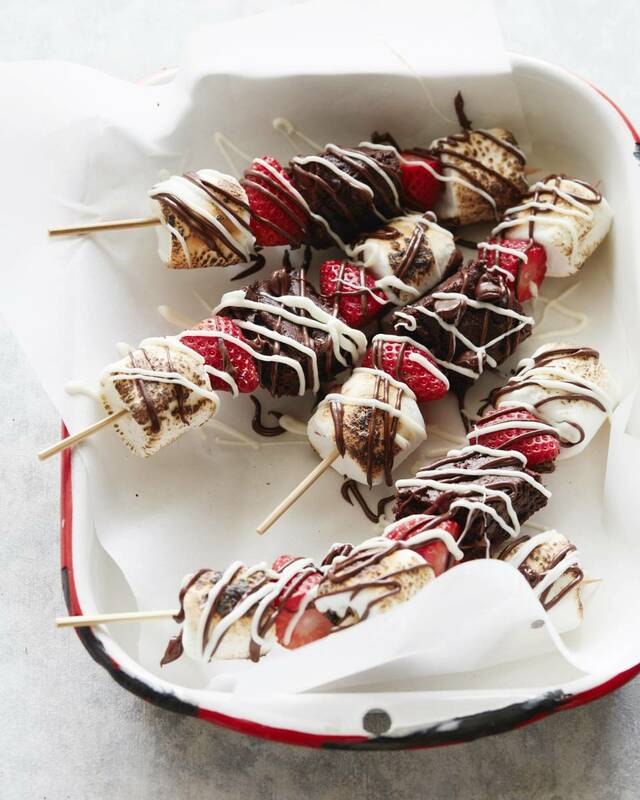 Add to that toasted marshmallows and drizzled white and dark chocolate - omg it doesn’t get much better than this! Preheat oven to 350 degrees. Line an 8x8 baking pan with parchment paper and spray with non-stick baking spray. In a pot over medium heat, combine the butter, sugar, cocoa powder and salt and mix for until the butter has melted and the sugar and cocoa is smooth. Remove from the heat and add the vanilla and eggs, whisk to combine. Stir in the flour and chocolate chips and set aside. Transfer the batter to the prepared baking sheet and transfer to the oven and bake for 25-27 minutes until done. 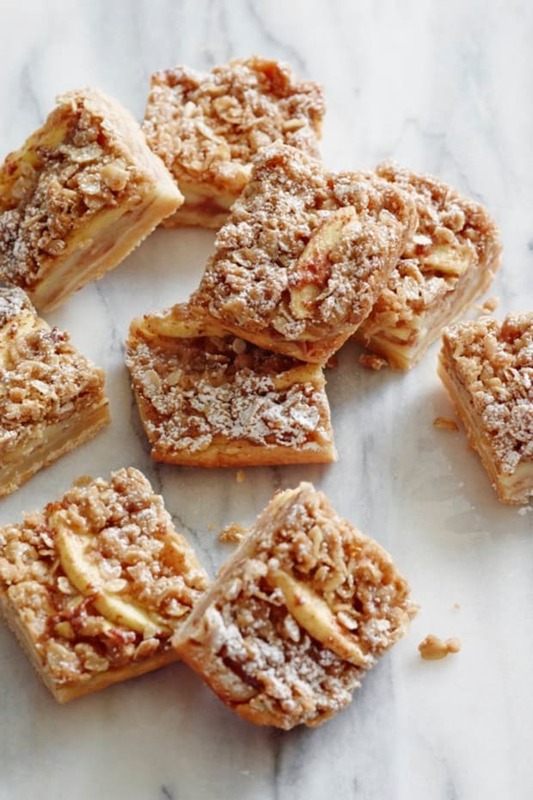 Remove the baking tin from the oven, and let it cool to room temperature before removing the bites and let them cool completely. 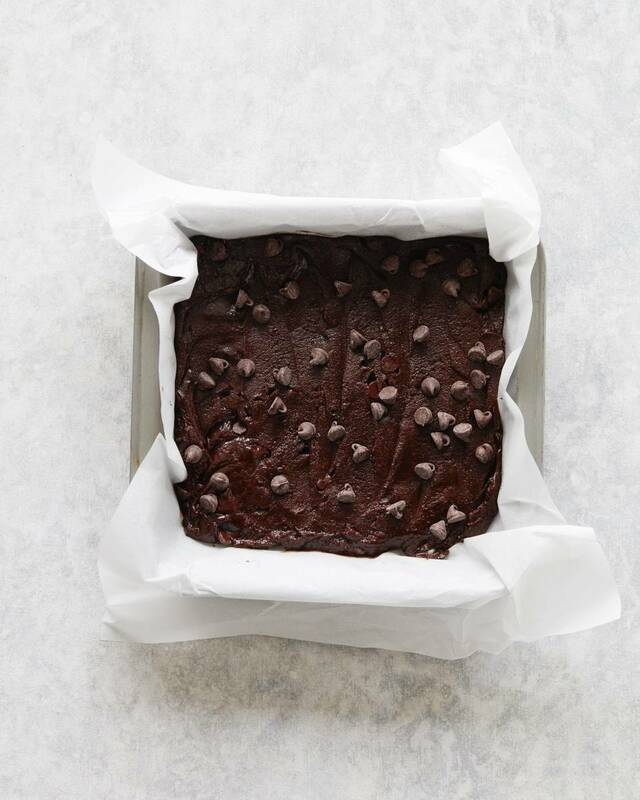 I prefer to stick the baking pan in the freezer once it’s slightly cooled so it’s easier to cut the brownies into squares. Once cooled. 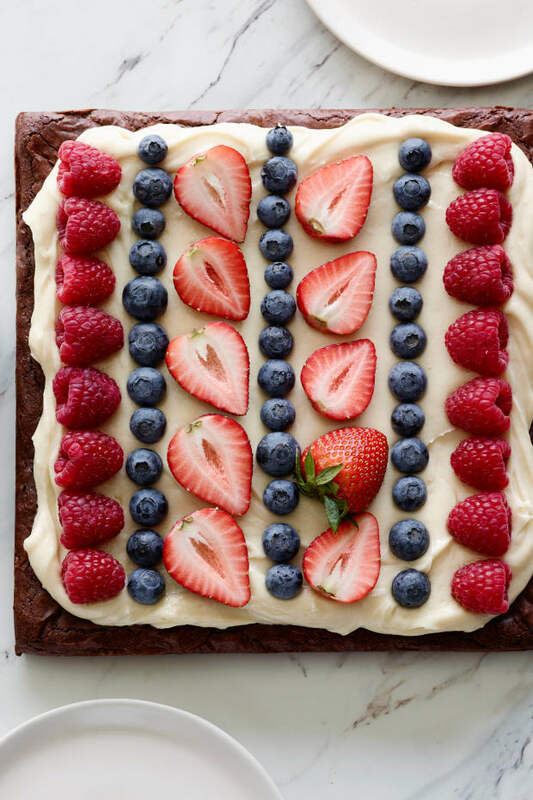 cut the brownies into small bite 1 inch squares. 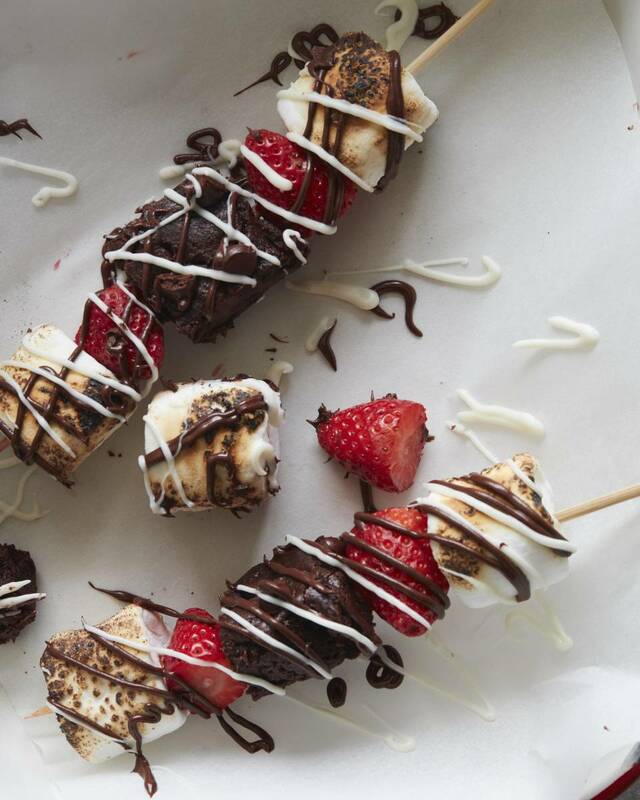 On medium sized skewers, alternate a torched marshmallow, a strawberry, a brownie bite, another strawberry and finish with an additional toasted marshmallow. 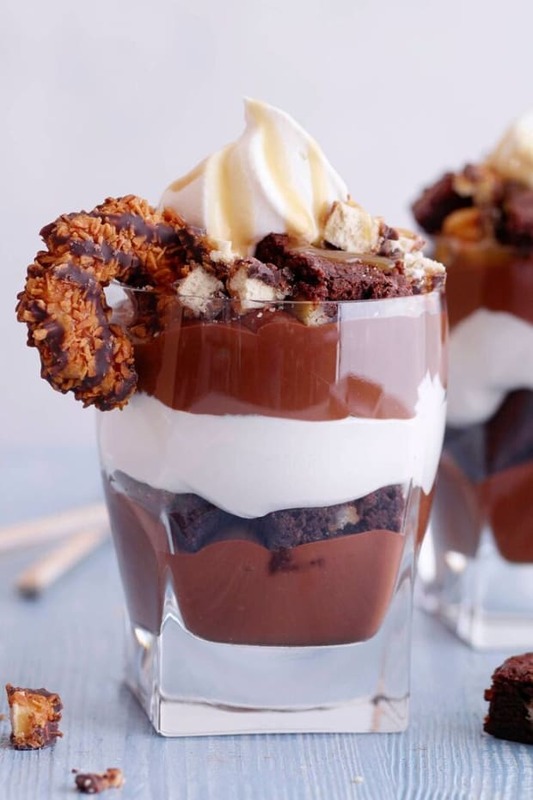 Drizzle with white and dark chocolate and serve as needed.